The chairman of Lee Man Hee who is 6.25 war veteran built such organization in order to hand down heritage with no war and spreading out approximate 100 branches over 70 countries. In comparison with other peace act organization, the reason why HWPL is receiving such a great attention from international society is that HWPL has been achieving outstanding outcomes which is unthinkable and inconceivable with practical activities and executive power in order to end all kinds of conflicts and civil war all over the world. Inspired by the story of a man who ran to deliver the news of peace that revealed cessation of hostilities in the ancient Greeks, the global community put efforts to rejuvenate the spirit of peace through a world sporting event every 4 years to think of our world as one village with the principles of coexistence and sense of togetherness. 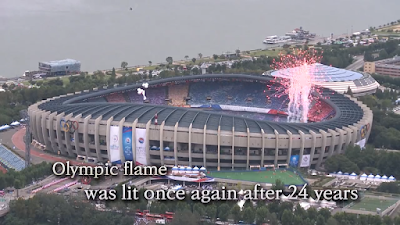 With the hope of global citizens to have a peaceful world in the face of ideological confrontation and greater possibility of military conflict during the Cold War era, the 1988 Seoul Olympics was the very moment for the globe hoping for restoration of a peaceful environment by all states transcending barriers that hinder cooperation. At the Olympics, the global community witnessed that the spirit of peace can overcome the pressure of force through diverse worldwide peace advocacy movements and the walls started to be broken down in our reality. Two dozen years after the Seoul Olympics, the flame of hope with shouts of peace re-appeared at the same platform of the stadium at the World Alliance of Religions’ Peace (WARP) Summit in 2014. 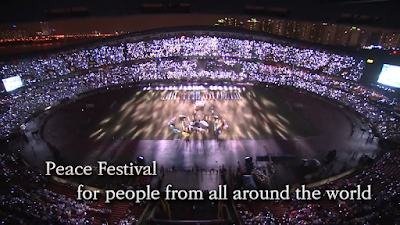 The global community was holding hands together, singing songs desiring for peace, and promised to work together, putting differences and barriers aside. Through interactive conferences and peace & sports festival on demonstrating practical approaches to creating social conditions conducive to peace in our times, the WARP Summit 2016 will once again strengthen our solidarity in peacebuilding. Heavenly Culture, World Peace, Restoration of Light (HWPL, Chairman Man Hee Lee) is hosting its “2nd Annual Commemoration of September 18th World Alliance of Religions’ Peace Summit” from September 17th through 19th. At the 2nd Annual Commemoration many of the world’s political and religious leaders, as well as women and youth leaders, will gather. Approximately 1,000 public figures from 120 countries around the world are expected to take part in this event, including: the former President of Croatia, Ivo Josipović; the Minister of Justice of Sri Lanka, Wijeyadasa Rajapakshe; President of the Spanish Society for International Human Rights Law, Carlos Villan Duran; the Youth Representative of The United Nations Association of New York, Juan Pablo Celis Garcia; along with various ministers, chief justices, high level government officials, and former presidents. During the event, participants will partake in various meetings for the implementation of the Declaration of Peace and Cessation of War (DPCW). 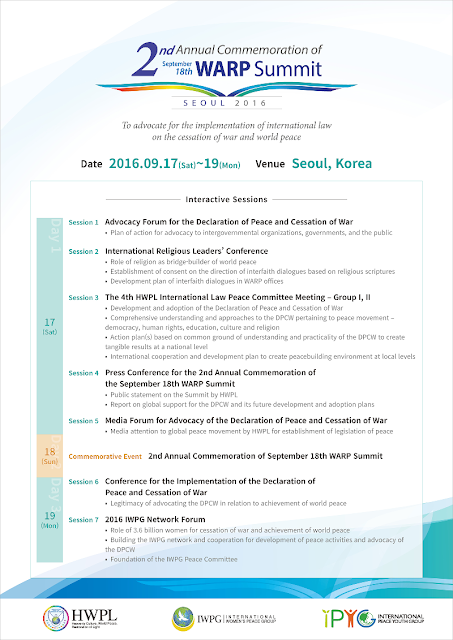 The meetings that will be held on the 17th and 19th in Seoul will cover important topics such as the role of the legal system to resolve religious conflicts, and the current role of the International Court of Justice of the United Nations in resolving armed conflicts, and will consist of: Advocacy Forum for the Declaration of Peace and Cessation of War, Media Forum for Advocacy of the Declaration of Peace and Cessation of War, The 4th HWPL International Law Peace Committee Meeting, International Religious Leaders Conference, Conference for the Implementation of the Declaration of Peace and Cessation of War, 2016 IWPG Network Forum. 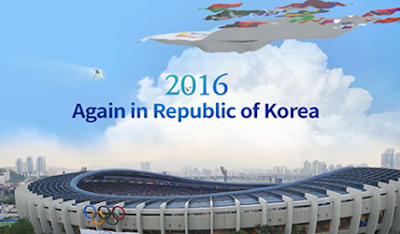 On the 18th, there will be an outdoor event at the Seoul Olympic Stadium. This event will mark its beginning with a parade, bringing in participants from all walks of life around the world. The parade will be followed by a card section performance by 12,000 members of the International Peace Youth Group (IPYG) with a theme of world peace and cessation of war. This performance is expected to deliver the inspiration of peace and harmony that transcends all borders of nation, race, and religion. 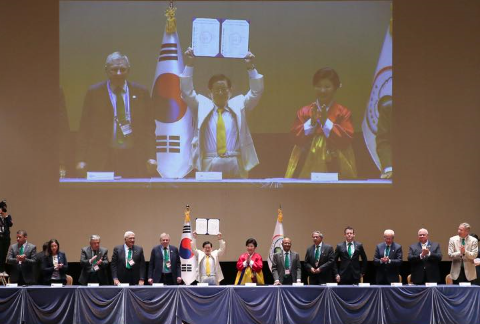 Through the 2014 WARP Summit, HWPL signed on the Agreement to Propose the Enactment of International Law for the Cessation of Wars and World Peace. In September of 2015, HWPL launched the HWPL International Law Peace Committee, which consists of international law scholars, professors, and chief justices. In March of 2016, HWPL proclaimed the Declaration of Peace and Cessation of War, along with international law experts from various countries. 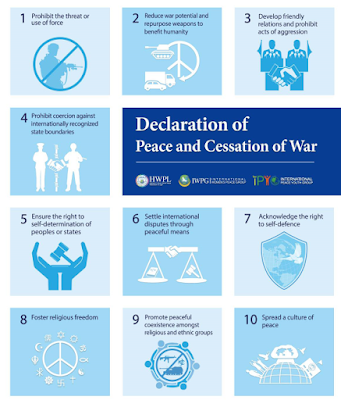 Following the Declaration, the “Legislate Peace” Campaign (a global advocacy movement aimed at establishing international law consistent with the DPCW) has been conducted worldwide. Since its beginning in March, 535,493 people from 167 different countries have signed their support for the DPCW. 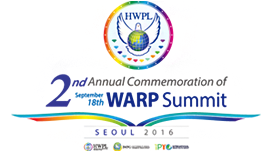 WARP Summit: Through the WARP Summit which convened for the first time in 2014, HWPL presented two answers to achieve peace: the implementation of the international law on the cessation of war, and a world alliance of religions. Every year since then, the WARP Summit has been sharing its successes in various fields, finding points of further cooperation and direction of advancement. Legislate Peace Campaign: Please click www.peacelaw.org for more information. I am Man Hee Lee, the peace advocate of Heavenly Culture, World Peace, Restoration of Light (HWPL). It is an honor to be speaking with like-minded believers of peace who dedicate their lives serving their people, country, and creed. As people who share this earth together, the duty appointed to us is to preserve the natural principles and rights of mankind. As we have seen from the past memories of our forefathers, to ensure that our future generations do not enter such periods of darkness depends on how active we remain to protect what is right and just for humanity. It is for this reason that I, to this day, continue to act upon the vision I have received, a vision of life, peace, and harmony. What I desire to share with you is the Declaration of Peace and Cessation of War. Drafted by renowned legal experts, the declaration's purpose is to cease all wars on earth. 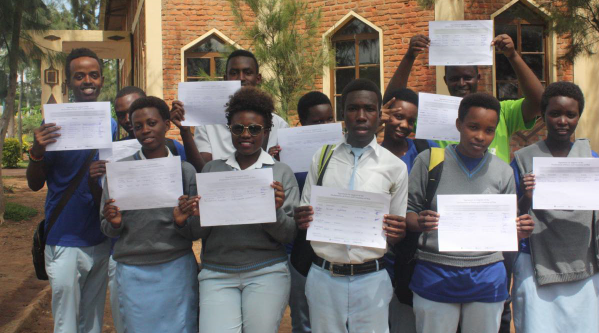 What makes this newly-designed declaration unique is its inclusion of provisions designed to prevent religious conflict, often times excluded from legal projects. However, a provision addressing religious issues proves to be crucial in achieving peace; as much as 80% of wars stem from religious roots. If every country in the world adopts legislature inspired by the Declaration of Peace and Cessation of War, I have faith that war will no longer break out. Peace, our long-awaited objective, will be achieved, and the world will be transformed back its original and perfect design. Adopting this declaration ensures achieving a world of safety and peace. Not only will citizens support its provisions, but when the heads of state become aware of the declaration, how can they go against its message? Going against the Declaration of Peace and Cessation of War is going against peace. Therefore, if a head of state rejects this declaration, wouldn't their future descendants question their leader's stance on morality? Thus, a head of state who encourages war instead of peace will fall into disfavor with the global community, causing an urgency by the people to adopt the declaration. However, when heads of state practice politics based on the declaration, the scourge of wars and conflicts will end, and peace will blossom around the world. When heads of state around the world sign the Declaration of Peace and Cessation of War, surely this will gain the United Nations' attention, causing the implementation, through the UN and its Security Council, of the declaration on an international level to be much more possible. Fellow workers of peace, this is my declaration to you: to support this movement, and show your support for what life has desired since the beginning. I urge you to show your commitment to establish harmony throughout the world by advocating the Declaration of Peace and Cessation of War to be incorporated in all nations. I thank you for your time in reading my message for the world. Our efforts in restoring this earth are beyond what man desires, but instead the hope of all sources of life. Even the beasts and trees yearn of a day when justice will reign, and this work lays in our hands. I look forward to working together towards the hope that our citizens dream of. I have been cooperation with HWPL for almost one year, anlld during this time, I have cooperated in WARP Office meetings in Toronto. Then I was selected as the Peace Ambassador to promote the aims, objectives and programs of HWPL to different communities. I thank the chairman, ManHeeLee and all the officials of HWPL who are working very hard to achieve peace and prosperity for all nations in the world. 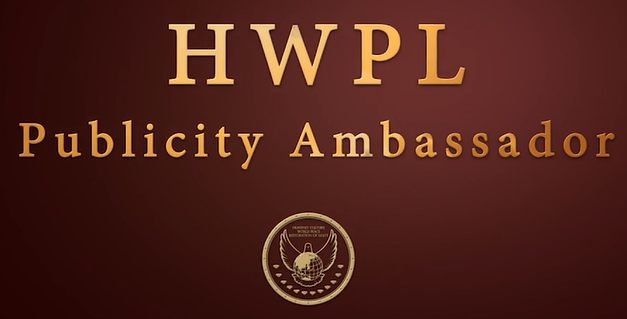 I am an HWPL Publicity Peace Ambassador. 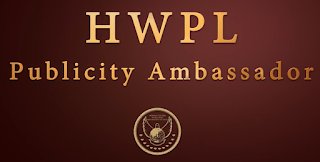 Last month, HWPL received self-recorded videos made by the HWPL Publicity Ambassadors, who actively make their best efforts for raising awareness and directly engage in publicizing HWPL’s peace activities through networking, education, media coverage and so on. The video clip with the voice for peace from Publicity Ambassadors can be accessed through the official website. The following is the support message for peace by Elizabeth C. Cachin, PTV, the Philippines. Cachin : I am Elizabeth C. Cachin from People’s Television, PTV for the Philippines. How did you become the HWPL’s Peace Ambassador? 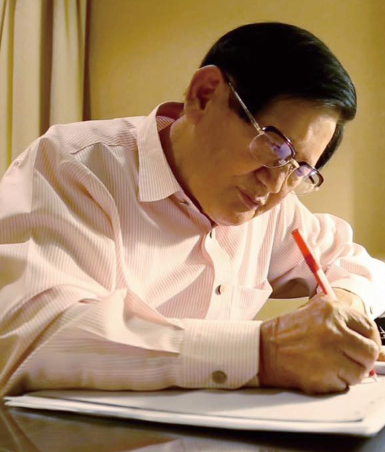 Cachin : Maybe because of the simple reason that I support all the activities and endeavors of HWPL by doing their stories and broadcasting them. What is your memorable experience in being a Peace Ambassador? Cachin : It was when I attended the World Peace Summit in Seoul, South Korea. 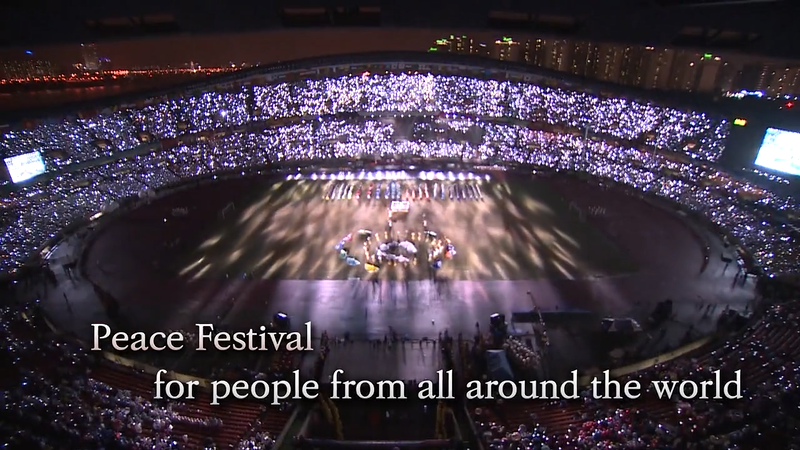 It was there that I witnessed for myself how people from different walks of life from different nations gathered in one place and in one venue, and craved and longed for world peace. What is your vision as a Peace Ambassador of HWPL? Cachin : My vision is that all news stories be made with less sensationalism, meaning we should focus more on positive stories rather than stories that focus on crimes, violence, and war. What is your message to those who will become Peace Ambassadors? Cachin : My message is that we be vigilant in our request for world peace and that we should encourage others to help in this advocacy. What is your promotional message to the world? Cachin : I encourage everyone to please support all the endeavors and activities of HWPL, IPYG and IWPG. Be a messenger of peace, be a light of hope and spread world peace to the world, of course. 2nd Annual Commemoration, WARP Summit! When? From the WARP Summit 2015, a series of discussions and meetings by the HWPL International Law Peace Committee consisting legal experts concluded the Declaration of Peace and Cessation of War (DPCW) (See details on DPCW: peacelaw.org), which was proclaimed on March 14, 2016. To leave peace as a legacy to future generations in this era, this declaration provides practical approaches to world peace including discouraging war potentials, dissuading war behavior, establishing religious harmony and spreading culture of peace. With this, the Legislate Peace Campaign, a global advocacy movement in support of the DPCW to build a legal foundation for peace, has gained much attention from civil society. 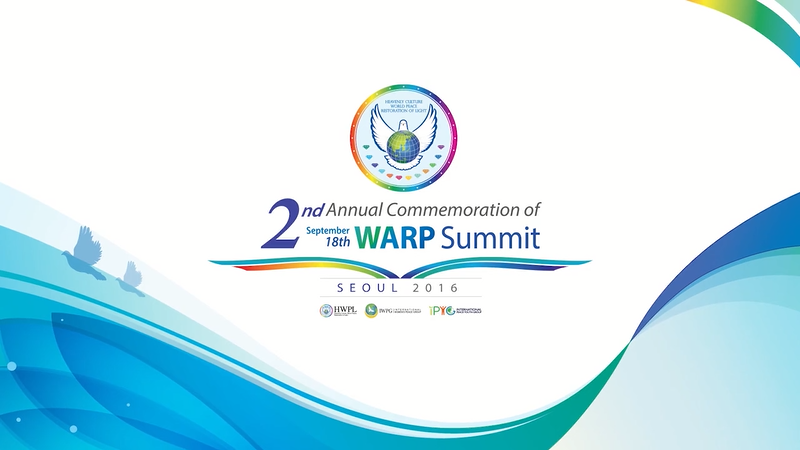 In September 2016, the 2nd Annual Commemoration of the WARP Summit will be held in Seoul, Republic of Korea. In the summit, members of NGOs, government representatives and intergovernmental organizations who represent our global communities will participate to discuss how to establish peace as a global norm for states and all citizens. Based on the DPCW with its initiatives of global peace building, multilateral cooperation and multi-level (local, national and international) action plans will be discussed. For tangible results, this collective voice of global support for DPCW aimed at founding enforceable law will bring out practical approaches to global peace movement based on international cooperation and participation of civil society with the support from citizens. According to the participants in the previous WARP summits, one of the most unique mechanism for peace in HWPL is making a unified voice for peace regardless of national, gender, religious and social backgrounds. Many peace activities by HWPL is based on voluntary and active participation of global citizens, especially women and youth. This means that development plans for making an enforceable law to protect citizens from threats of violence of war, which will be discussed in the summit, will also be prepared by reflecting the voice of peace from the grassroots and network of civil society in each state. Governments are leading organizations of the global society represent how the world works. In the WARP Summit 2016, former heads of state, ministers, chairpersons of congress and justices of supreme courts from various countries will have a venue to discuss how the spirit of peace can be developed in their societies and how the role of government can be addressed to the extent that citizens in each country can be benefitted from the legislation of peace based on the DPCW. 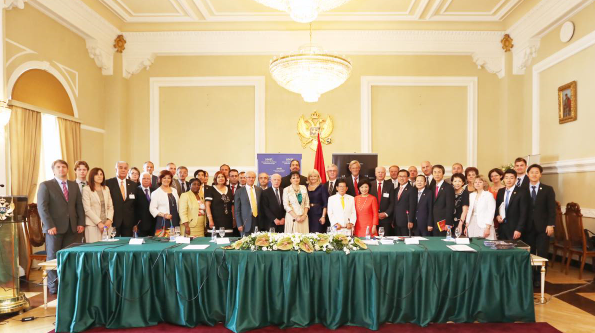 Another peace building initiative offered by HWPL is the alliance of religions. Religions have been responsible for enlightening people with the knowledge of human spirit in relation to the property of the unseen. Nevertheless, religious boundaries have been one of the major hindrances of cooperation; misguided actions targeting unspecified individuals resulted in violence and challenges to peace in this world. For this reason, interfaith dialogues in WARP offices around the world by religious leaders have actively been underway to seek cooperation among religions and their dedication to world peace. Since instructions of religions are based on the spirit of peace and harmony, alliance of religions for peace building based on inter-religious communication will shed light on how the world can overcome conflicts by seeking truth in religious scriptures. In the summit, religious leaders will be gathered together to discuss how religions can make one voice for peace. 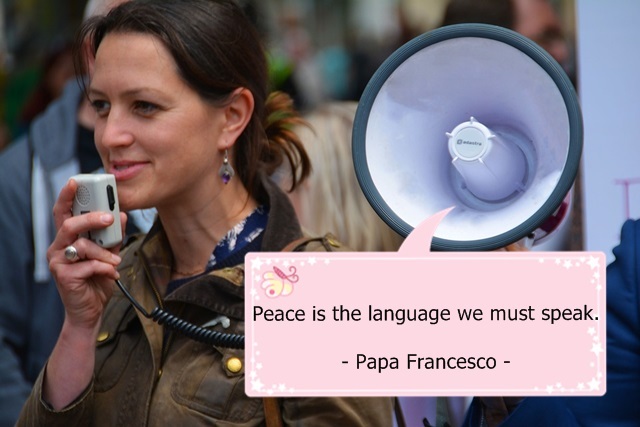 "Peace is the language we must speak." 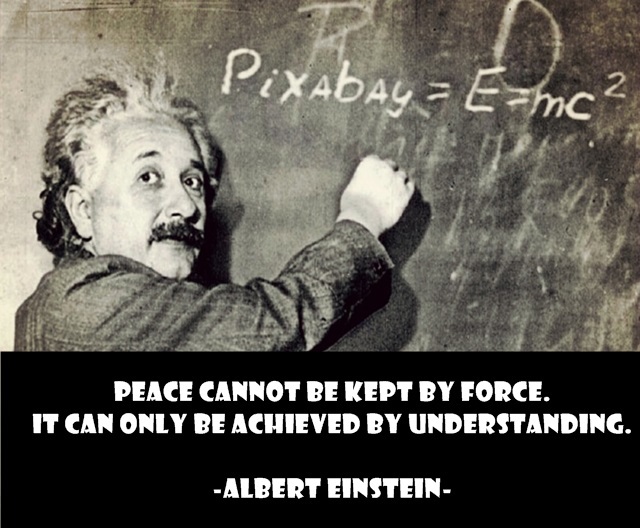 "Peace cannot be kept by force. It can only be achieved by understanding." 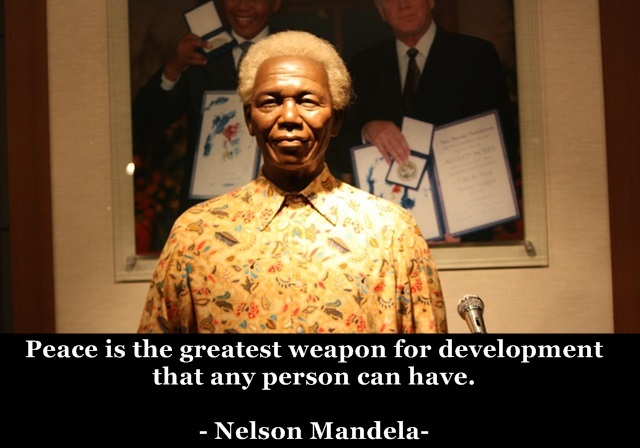 Peace is the greatest weapon for development that any person can have. 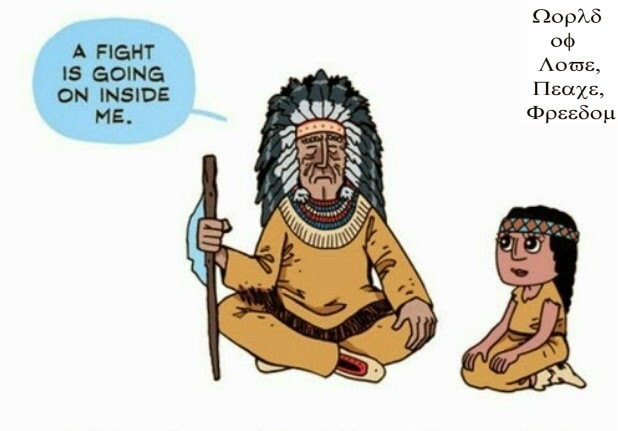 in order to spread one message – World Peace. 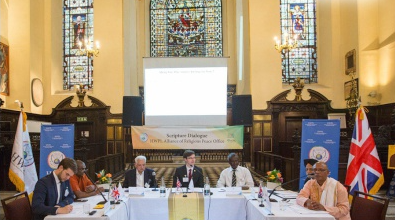 On Wednesday 27th July, Heavenly Culture World Peace Restoration of Light (HWPL), an international organisation in association with the United Nations Department of Public Information, hosted the 11th UK World Alliance of Religions’ Peace (WARP) Office in The London Spirituality Centre. 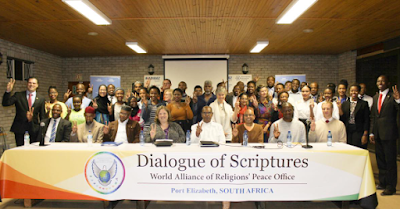 The WARP Office is a series of Scripture Dialogues attended by religious leaders from various faiths who seek peace and a young adult audience who support peace. 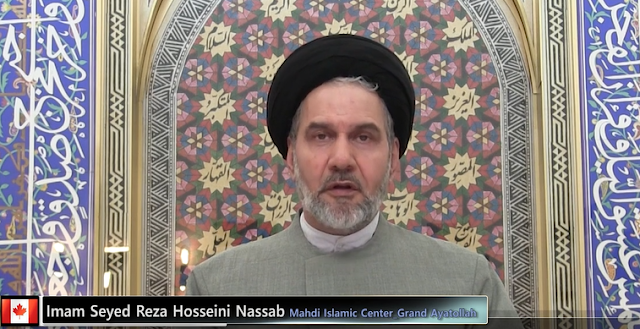 As for the first question, all religious leaders said inner being is more important, while there were some differences regarding the other two questions. In order to bring all conflicts to an end, the organiser HWPL is not only working on WARP Offices, but also “Legislate Peace” Campaign, an advocacy movement in support of the Declaration of Peace and Cessation of War (DPCW) being developed into an enforceable law. Through these two core peace projects of HWPL all over the world, those who love peace become united as one. Recently, 181 WARP Offices in 90 countries have been established and over 500,000 signatures have been gathered in 168 countries.